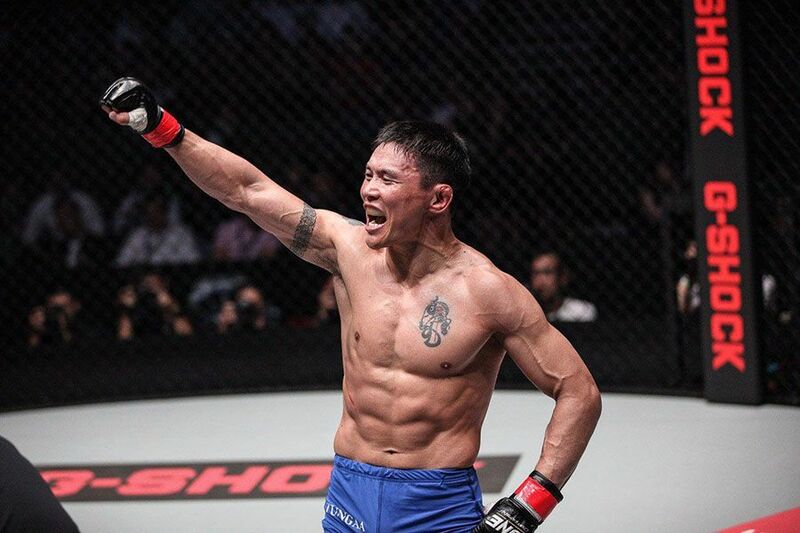 Narantungalag Jadambaa will be bidding to become the oldest man to ever hold a ONE Championship title tomorrow night. The 43 year old is looking to recapture the featherweight belt at the MOA Arena in Manila. The only man to ever beat Jadambaa in a ONE Championship fight is former champion Marat Gafurov. The Mongolian has won back to back fights since suffering his second defeat to the former champion. “To tell the truth, I didn’t expect to get a title shot so soon (but) I feel that the fighters in this division have improved,” he said. “I learned from (fighting Eric Kelly) that if I landed my punch, I could knock out any opponent. 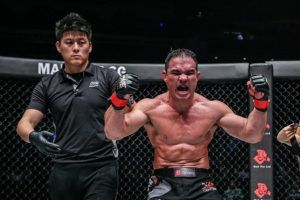 Beating a famous and strong fighter like (Kotetsu Boku) was important for my mixed martial arts career and (Edward Kelly) was also an important fight for me, as it brought back my confidence,” he said. “I was very surprised by his offer. It will give me the greatest of pleasure to face him,” he said. 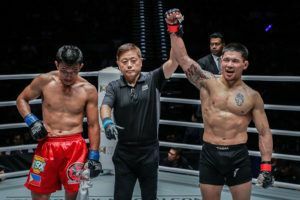 “His offense, fighting style and ability to make a game plan are all dangerous (but) I will try to exploit his weaknesses,” he said. 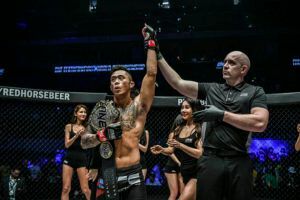 This will be the third time Jadambaa has come into a ONE Championship title fight as the challenger. He beat Koji Oishi by decision in 2014 to win the belt but came up short a couple of years later when he rematched Gafurov. Jadambaa really announced himself to the MMA world by beating Akihiro Gono in 2010. 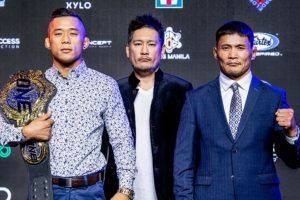 Nine years later the Mongolian has been handed another opportunity to prove he can hold his own against the top fighters competing in the continent.